Hatch chilies are cultivars of the New Mexico “green chili” developed at the Chile Institute at New Mexico State University in the 1920s. Chile grown in the Hatch Valley, in and around Hatch, New Mexico, is called Hatch chile, but no one cultivar of chile is specific to that area. 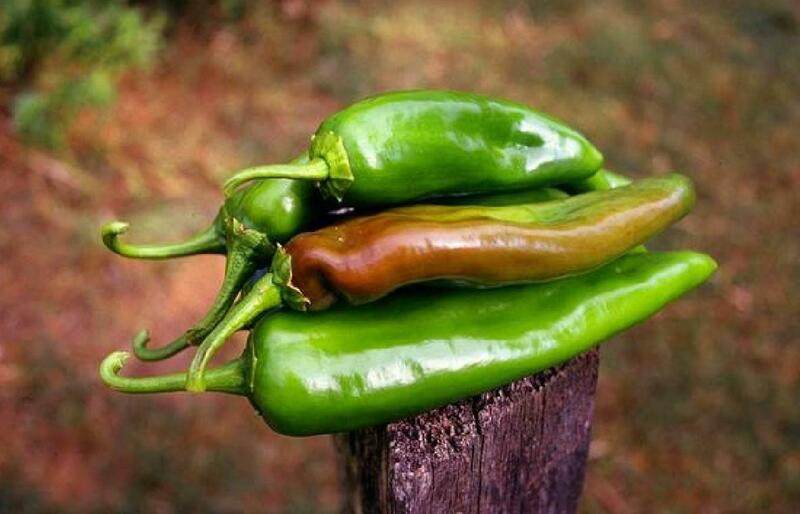 The cultivar of Hatch chile peppers that we grow on our farm is called NuMex Big Jim. We’ve tried them all and this is our favorite. 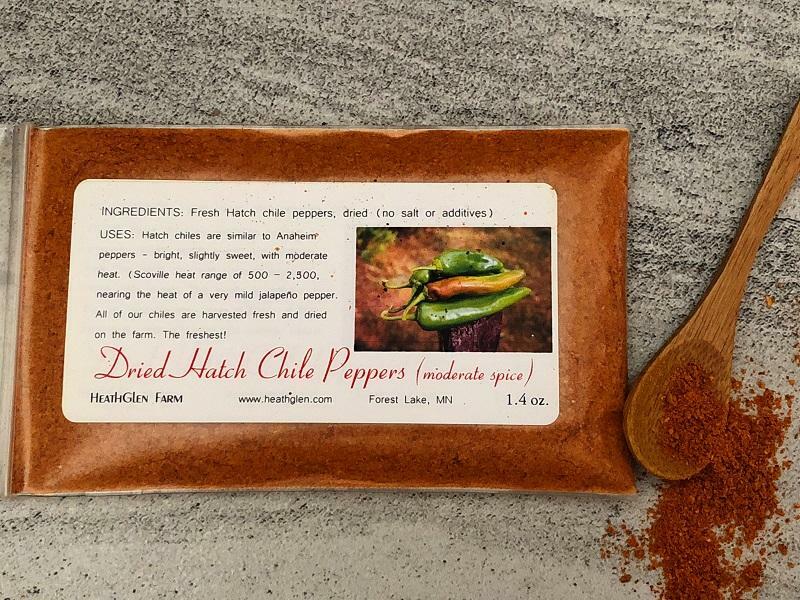 They are harvested fresh each fall and dried on our farm for ultimate freshness. nearing the heat of a mild jalapeno pepper.